This is the permanent location for downloading the MS Word 2007 template for writing dissertations, theses, and research papers according to the TIU style guide. The following are required to make full use of the template but you can work around each. The template has been checked and approved by TIU’s document fellow. There are several users of the template that have helped work out kinks. That doesn’t mean the template is perfect, but it’s pretty close. Pre-set page layouts for every page of front matter, back matter, and body. This means page borders, header and footer spacing, and page numbering is all preset in the document. There is very little (no) need to format text or paragraphs in the template. Formatting styles have been preset with one click access for all common document formats including chapter number, 5 levels of subheadings, block quotes, and Greek text. Using styles helps organize your document map for easier navigation through the document. Other document features are also preset. For example, page numbering is set so that the page number of the first page of a chapter appears at the bottom of the page, on the second page it appears at the top. Spacing for page one and subsequent pages is also preset. Footnotes begin renumbering with each new chapter. Tutorial videos are available to help you understand the template and even customize it for your preferences. If you have a question concerning the template that’s not covered in the tutorials I will answer your question and possibly create a tutorial video. Zotero will not give full bibliographic info at the beginning of the chapter if the work has been cited in a previous chapter. This is not actually an issue with the template but with the use of Zotero. The best way to deal with this is to print chapters 2 and on separately. I’ve created a tutorial on printing chapter by chapter to explain how best to do this. Tables and figures are finicky and difficult to implement consistently. I have created some styles to support easier use of tables and for easily creating tables of tables and tables of figures, but I don’t give much guarantee that they will be helpful. I will try but probably won’t be able to help you with these issues. As I find errors in the template or when I think of ways that it can be significantly improved, I will release a new version of the template. It will always be made available in this post but I will also create a new post informing of the new release. I recommend subscribing to the feed for the “msword” tag in order to find out when new releases and new video tutorials come available. Please note. There is no way that I know of to “upgrade” an existing document from one version to the next by copy and paste. If you do that, you will create a number of errors in the new document that are very difficult to fix. When I come out with a new release, I will also give instructions on updating your current document to the new template. I’m creating tutorial videos as topics occur to me (see below for list of currently available tutorials). If you have a specific question please ask and I will create a new tutorial when appropriate. I am using Word 2003 and BibleWorks. There is a problem with the new template. The line spacing in the footnote appears to be set as “exactly,” and the BW’s fonts with vowels such as “qames” are covered due to the limited line spacing. I’m not a pc person. Hope you’d understand what I’m talking about. Try printing one page with Hebrew and see what happens. I think you’ll find that the Hebrew vowels show up correctly. Someone else had this trouble and it seems the vowels don’t always show up properly on the screen but they show up OK when printed. Let me know. It’s important for the paragraph spacing to be set to “exactly.” Because of the way vowels are handled for the Hebrew font, your Hebrew text must be set to 14pt in order for the consonants to be true 12pt size. If the spacing is set to “double” then the lines with Hebrew will have spacing appropriate for 14pt font while all other lines will have spacing for 12 pt. You shouldn’t have varied spacing like that in the document. Also, I recommend not using the BibleWorks Hebrew font. The template is set up to use SBL Hebrew so that it’s more universal than any brand of Bible Software. Every one of the predefined styles for the template is set to automatically recognize SBL Hebrew as the complex script. If you were to use BibleWorks then you should change that for each one of the styles (there are many!). Will this work in the Mac version of Microsoft Word? I’m pretty sure the file should transfer without any problem since it’s nothing but a Word document. Let me know if that’s not the case-I don’t know of anyone with a Mac that uses the template, so it would be good to know. As for what I have listed as “requirements,” all of those are available for Mac as well, but again, no personal experience. If you need a version for Word 2003, you can download it here: https://toddjana.com/u/tem2003. The template works fine in Word 2003 and lower–as far as I know. The only reason I list Word 2007 and up as a requirement is because I don’t have Word 2003. That means all the support videos are in Word 2007 or 2010 and I can’t remember Word 2003 menu systems to offer perfect support. I notice that the template begins with “Chapter 1.” But what if I have a formal “Introduction” as well? Such an introduction would be part of the contents page, but it would not be chapter 1 either. How do I include that into the template in the right way? (Just so you know what I mean, you can check Bob Yarbrough’s The Salvation Historical Fallacy? or Kevin Vanhoozer’s Drama of Doctrine–just picking two books at random from my shelf. Both have an introduction prior to Chapter 1) … This is probably a simple question, but I am clueless on these matters! I hear you’re finishing up your dissertation. Congratulations! first of all, thanks for all the great work. I am currently writing my M.A. Thesis which (to my mind) has the same formatting requirements. Is that right? You’re right. As long as your MA is in Theological Studies there should be no problem whatsoever. The template conforms specifically to the TIU Style and Format Guide for the Humanities format (the guide covers Humanities, Social Sciences, and APA) for both MA and PhD theses (see the Index of the TIU Style and Formatting Guide). In fact, I even used the template for research papers and my proposal by using headings instead of chapter titles. Not only that, but people in Education (Social Sciences) and Counseling (APA) should also be able to use the template as a starting point for making a TIU Social Sciences or APA template. It’s very easy to use the styles already defined as a basis for a new template. This video tutorial on creating a new Style should be a pretty good starting point for understanding how to do that, though I hope one day to make one more specific for the task. If someone is interested in making a template and would like some help doing so, I am willing to put a little bit of time into that (I think). Once there’s a template, we could make it available on the template page. today I discovered that my chapter 1 starts with page “9” instead of “1”. What would be a quick way to fix that? Otherwise, I really want you to know that your template is really a tremendous help! What would I have done without it ;-)? Never mind, I figured it out…I should have tried longer first before bothering you. Sorry about that! I’m really glad the template is useful. Thanks for letting me know. Otherwise I’m having a tough day :). Don’t feel bad asking “too simple” questions because I don’t mind and sometimes people get into bigger trouble trying to fix things they think are too simple to ask. It can be really hard to help in those situations. I hope the research is going well! The quick answer is that I took the template in to Kevin Compton (at the time he was the document assistant–that’s the person in the library that checks documents for formatting and style) who got out his ruler and measured all spacing and margins, etc. and determined that it meets the requirements of the TIU Handbook of Style. On the other hand. What do you mean that it’s not “fully” double spaced? It’s possible that I have an error somewhere. The paragraph spacing is set to “Exactly” 24 pt. Which means that for a 12 pt font it is exactly double spaced. The only exception is when you use Hebrew. That font is set by default to 14pt in order to look like a 12 pt font. Because of that, the vowels encroach on the spacing. That’s the only thing I can think of that would make it not “fully” double-spaced but something tells me you’re thinking of something else. I’m curious what you’re referring to. Also, for dissertations the requirement is not page numbers but word count (100,000) so it makes no difference how you set spacing. As I am writing an MA thesis, I do have (unfortunately) page limitation. It sounds like you’re getting close to being done. I’m defending my dissertation on Tuesday so I’m tasting it myself. I don’t know about MA theses, I’m sure it’s different, but the ADO (or at least Averbeck) is starting to crack down on long dissertations. I’m having to remove 80 pages from mine. It is quite possible that when you set spacing to “Double” the end result is more than double spaced. Todd, do you know why block quotes have more spacing before them than after them? It looks like the spacing above is correct (12pt between the top of the line and the bottom of the previous line) but the spacing below is too small when going back to regular paragraph style (perhaps about 8pt of blank space between the block quote and the next paragraph). Thanks for all you’ve done to give us a great template. May God reward you hundredfold for your efforts. Actually, the spacing above the block quote is too large (more than one blank line) and the spacing below the block quote is correct (or at least closer to one blank line). Normal paragraphs in the template are set up so that the spacing between lines is set to exactly 24 pt (not double spaced) and the spacing after a paragraph is set to 14pt. This was done in consultation with Kevin Compton in order to get the spacing as close as possible to his perception of the TIU guidelines. The problem is that once you set the spacing after a paragraph to 14pt then it doesn’t matter what follows, it’s always 14pt (with one exception that doesn’t impact this explanation). So in most cases 14 pt after a normal paragraph is the correct spacing but in the case of block quotes it’s not–it’s too much and it’s noticeable. However, Kevin Compton believed the solution we have in the current template to be best and now after Scott Swingle noticed it and requested I “correct” it in my dissertation I persuaded him it should be left as is because of the limitations of MS Word. However, there are other things in the template that Scott prefers to be spaced differently and so I am coming out with a template 2.0 in the next couple of weeks (I hope). In the process of making those changes I revisited the block quote issue and I am going to run a couple of variations by Scott to see if we can possibly make the block quote spacing look a little less lop-sided. So watch for a new template in the next couple of weeks! Thanks again for all you’ve done (and are still doing) for us! I am about to finish my thesis and hand it in next week (I already had a conditional pass). One question: Why do I need to update the “Table of Contents” (TOC) each time I open the Word document? Somehow it resets it and everything according to the TOC is on p. 3. I’m afraid I haven’t had that trouble yet. It sounds kind of strange because the TOC should update whenever you open the document. If you click on update the TOC and it goes back to normal then there must be some problem with the way it updates on open. I’ve looked for settings where it would be possible to change how the TOC updates but don’t see anything. It seems likely to me that the code in your document has become corrupt (I’m totally guessing) and so you may need to either remove and reinsert the TOC (do not delete-remove!) or copy only the text of your thesis into another document and recreate the TOC there. Even if you take those steps, however, you may not be able to eliminate the corruption from the document (it may be located in the text you copy). 1. Open the document by opening MS Word and then using the Open command and navigating to the file. One user in the forum said this worked. But then maybe it’s just easier to hit update every time. 2. Remove and reinsert the table of contents. This, I think, is likely to be less of a hassle than the other suggestion, though it may not be sufficient. 3. Remove the text (except the last paragraph marker) and put in new document without the TOC. Recreate the TOC. Todd, one of the corrections the document assistant asked me to make is to the footnote reference numbers that precede the footnote text. He says, “no text in your diss. can be smaller than 10pt font, including your footnote numbers.” I’m looking at the style settings for “Footnote Reference,” and it says it is set to 12-pt Times New Roman superscript. I can see that the number is slightly smaller than if I type the same number in the Footnote Text, which is set to 10-pt Times New Roman. What would you recommend I do about this? It looks like in the body text also 12-pt superscripts are smaller than what would be normal 10-pt Times New Roman font. Am I really supposed to change all superscripts and subscripts in my dissertation? Did you have this issue? Let me communicate with Scott on this and I will get back to you. I will send him an email in less than an hour. If I don’t respond and you get to the point where you need to get this done let me know and we’ll make the necessary changes. Here’s why I want to talk with Scott. The template was previously approved by Kevin Compton (previous document assistant) and things like spacing and footnote number size were all done according to his preference. Now Scott is having me make some changes because he interprets the spacing (and now footnote number size) differently. It’s not hard to make these changes but in this case I think it’s not an intelligent change. 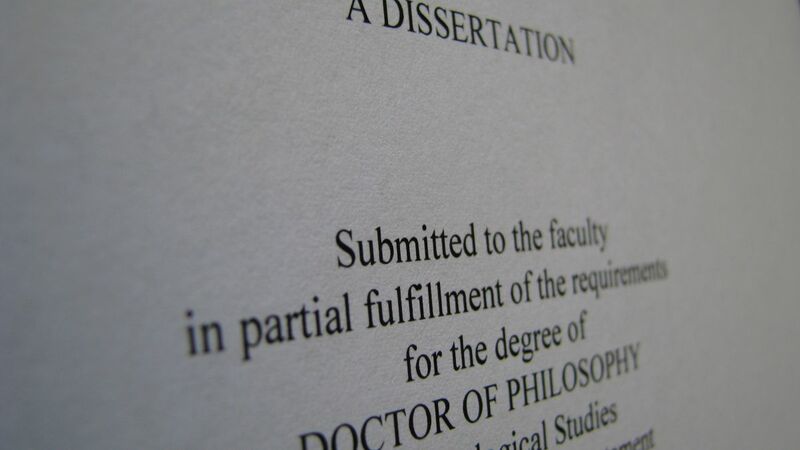 In the past the copies of the dissertation that we turned in to ProQuest were of lower quality and they needed to have minimum sizes for things like footnote numbers to make sure they remained readable. Now we turn in pdf copies and readability is not an issue. Therefore if the previous settings for footnote number size were OK, then they should be OK now. It’s a matter of interpretation. I just looked at the TIU Style Guide and it specifically states that in MS Word we are to set the footnote number to 12 point superscript in order to keep the equivalent of a 10 pt font (see page 6 and appendix D, page 65). So the template exactly conforms to the stated Style Guide requirements. That’s interesting. I won’t change anything then. The other issue he pointed out was in between section headings. He doesn’t note anything for most section headings, but occasionally I have a level 2 section heading followed immediately by a level 3 section heading. It looks like the spacing before the level 2 section heading is the same as the spacing after. (When the section heading is followed by Body Text rather than by another heading the spacing is clearly less after than before, but when it’s followed by another heading the spacing appears to be the same.) Scott marks this every time saying there should be 2 blank lines before the first section heading and 3 blank lines between the first and second section heading. Any idea what to do about this? I didn’t actually realize it was allowed to have consecutive sub-headings without intervening text. The TIU Style guide says, “All subheadings should have intervening text (TIU)” on page 17. However, I’d never noticed that the next sentence in the TIU Style guide actually allows for consecutive sub-headings and gives the specifications that Scott has indicated. The result is that the template is not designed for consecutive subheadings. Still, because the Style guide requires an extra line between consecutive subheadings there’s no real way to design the headers to automatically accommodate this. So you will need to insert your own blank line and maybe even change the formatting of the sub-headings in those specific instances in order get the correct spacing. Let me know if you have any suggestions as to how to handle this. I don’t have any good suggestions. I just added a single-spaced paragraph break after the sub-heading in each place where there was no body text after the sub-heading. Thanks for all your help, though, and for the template. I’m happy to have submitted a final copy now. And Scott did come back and say footnote reference numbers were an acceptable size. I’ve just received word back from Scott Swingle who says that he has reviewed the TIU Style Guide and since the template conforms to its specifications then it is fine. So you will be fine. Your tutorial videos are definatley helpful. Thanks so much for the template and tutorials! Do you know what the best way to insert/create a table or figure into the body is? I didn’t notice a style for it. I’m afraid I haven’t included much in the way of tables because it would have been too difficult for me to give support or explanations. >Use the Body Text style and modify it as needed for the text in the table. >For images, keep the formatting simple by using images either in line or wrapping text top and bottom. >I do have a style for captions. To insert a caption, right click on the table (the little four directional arrow that appears top left when you hover over) or figure and select Insert caption from the context sensitive menu. If you insert captions this way they will show up in your table of contents. That’s about all I can remember right off the top of my head. If there’s any other way I can help let me know.